Logistics management is what makes each interconnected piece of a supply-based business run smoothly. Sound logistics management is important in any business, but for ecommerce businesses, it’s absolutely critical. That’s because the success of an ecommerce operation is dependent upon and driven by effective logistics and supply chain management at every step. This guide examines the 4 primary elements of ecommerce logistics management, covers tasks related to each, and explores ways to implement effective logistics and supply chain management processes in your business. 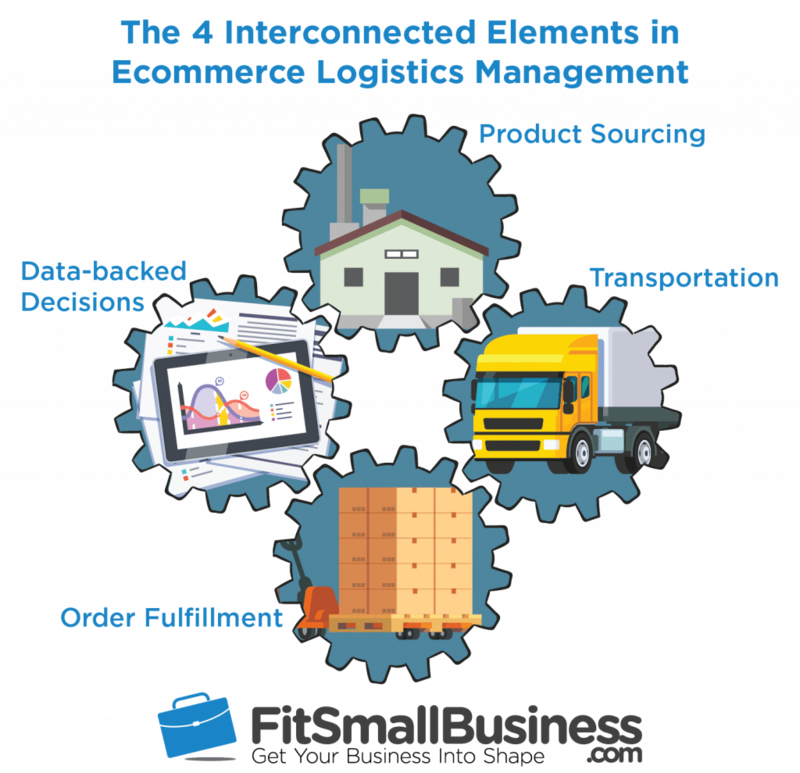 Small business ecommerce logistics management is broken down into essential 4 elements, each connected to the other in a continuous cycle. Since every stage relies on the others running smoothly, when something like a production error, transportation delay, or incorrect stock order happens, it affects the works. That’s why proper logistics management at every stage is critical for success. Here’s a quick look at the 4 elements and we’ll examine each in detail below. Next, we’ll look your logistics management options for these elements and the tasks related to each. Most small businesses oversee product sourcing tasks in-house in their supply chain management plan. Some do this because manufacturing is their main business. Others want to closely manage vendor relationships, oversee stock orders, and personally work on building product lines. You can find product sourcing 3PL partners to help with sourcing logistics, especially if you want to manufacture goods overseas. But in most cases, you’ll handle some or all of these supply chain management tasks internally. How you source your goods dictates how you’ll manage your supply chain logistics. Here are the top things to consider for different product sourcing methods. It’s impossible for most buyers to predict their wholesale vendor stock levels on a given day since wholesalers service many buyers. To keep your hot sellers in-stock, you’ll need to track sales and forecast your inventory needs a quarter or two in advance. Some wholesale vendors will order and reserve stock for you based on your sales forecasts, but let you spread purchases out to better manage your budget and cash flow. It never hurts to ask about this. You can also ask your wholesale vendors to ship large or special orders directly to your customers. This drop-shipping option helps you service unusual types of orders profitably without having to overstock your shelves or overextend your purchasing budget. Manufacturing logistics requires careful orchestration of several components. Raw goods inventory management, supplier orders, employee schedules, production schedules, quality assurance processes, demand forecasting, and new product development all play a role in your day-to-day logistics management. Careful product demand forecasting and budget planning are 2 key factors that help you make profit-minded raw goods orders, as well as smart staffing and production decisions. Having goods made to order poses a variety of logistics challenges. What these largely depend on the service your manufacturer provides. Most manufacturers source the raw components used to make your goods, but in some cases that might be a task on your logistics list. Your orders are subject to their production schedule, which can fluctuate based on current load and seasonal demand. So it’s important to get turnaround times on every production order. In most cases, your goal is to order enough product to cover sales placed between production runs, but not so much that you overextend your budget or storage capacity. Turnaround generally takes from 2 to 8 weeks with most manufacturers. Plus, you must factor transportation time into your forecasts. This can be a few days for US factories, or as much as 6-8 weeks for imports. You’ll add both times together to get a total production turnaround for forecasting quantity needs. Most private label suppliers operate a tight production ship, which makes your logistics management rather simple. The process is similar to ordering from a wholesale vendor, with the exception that you must provide your business logo and other information to be printed on the label, which most private label suppliers handle for you. They typically have standard order turnaround times on which you can base your purchase forecasting. But you’ll still want to confirm that new orders are running to their normal schedule to prevent unexpected delays. Small businesses can work with transportation carriers directly. But if you don’t regularly ship freight in great volumes, you won’t get the lowest possible rates. And if you don’t know the ins-and-outs freight classifications, routing, import-export, and other details, chances are you’ll end up overpaying on freight shipments. That’s why most small businesses use a variety of 3PL transportation partners to help them with this aspect of supply chain management. Here are different ways you can manage the transportation portion of supply chain logistics to get the lowest possible freight rates, on-time deliveries, and no surprises. 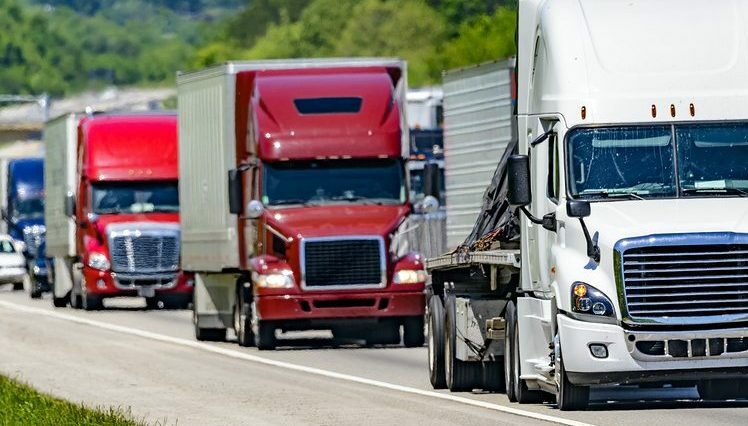 If you regularly ship freight along the same corridor or within a set region and know how freight classification works, you can garner some good deals working directly with carriers. You’ll have to book your own shipments in their system, make sure that you use the right freight classifications, coordinate pickup times with your supplier, and track that deliveries are on schedule. Even if you prefer to work directly with a transportation carrier, it’s still a good idea to get bids from freight brokers to be sure your carrier is giving you competitive rates. Freight brokers are 3PL companies that assist in booking and managing freight shipments to help you get the lowest possible rates and best service for whatever you’re shipping. Most top freight brokers have excellent online portals so you can compare rates and delivery times among numerous carriers. Plus, you can book and track your own shipments, prepare paperwork, and review ongoing costs. You need to ensure that your freight details like size, weight, and classification are correct, and coordinate pickup times. But freight broker sites make it easy to compare rates on every shipment and ensure you’re doing it right so there are no surprises. With our recommended broker, FreightPros, you can enter in your shipment details and gain access to over 70 qualified and vetted carriers to find the best quote for your shipment. Click here to get a free quote. Transport 3PL companies handle every aspect of transportation for volume shippers and end-to-end single or repeat intermodal shipments. These 3PL companies take the day-to-day oversight off of your shoulders and will handle the quotes, booking, tracking, and paperwork for you based on parameters you set. You’ll need to provide production schedules and other supplier and delivery details to your 3PL partner, but they take it from there. Wholesalers, manufacturers, and fulfillment companies typically are high-volume shippers, so they know how to get the best rates. This is a great way to hand off your transportation logistics tasks, but you want to ensure their prices are competitive. So compare shipping rates between your supplier and/or fulfillment company, and a freight broker. If costs are close, you can be comfortable letting your supplier or fulfillment company handle your transportation logistics tasks like freight booking, scheduling, and paperwork. All you need to do is track the shipment to ensure on-time arrival and pay the bill. The logistics of in-house fulfillment depends on the space you have to work with, how much stock you store, and the number of orders you pack and ship each day. If your stock is limited and you ship just 10-20 orders per day, running it out of your home or a storage unit works fine. But when you’re stocking hundreds of items and/or shipping 20-plus orders per day, you’ll likely need a small warehouse and staff if you don’t want to spend each day packing boxes and sorting inventory. At this point, you really need to do a cost/benefit analysis comparing in-house and outsourced fulfillment options. Oftentimes, outsourcing some or all of these tasks is the best logistics management solution for a growing company. The right outsourced fulfillment partner takes time-consuming order fulfillment tasks off your shoulders. Going this route lets you better focus on sales-driving activities, like developing product lines, researching new product opportunities, and brand marketing. Top-rated fulfillment companies, like ShipBob, view their role as a partnership and readily integrate into your sales channels at no charge, plus provide a seamless management portal for real-time status reports. Of course, you need to manage your fulfillment partner and should regularly compare inventory and sales reports against purchase orders to ensure accuracy, and promptly deal with any stock discrepancies. You also want to stay on top of order-fill rates and customer reviews to be sure they are delivering on promises like 24-hour order processing or 2-day delivery. The logistics management of drop-shipping can be approached 2 ways. You can use drop-shipping to handle occasional large or special orders for items you generally stock. Using this method, your usual vendors ship large or special orders directly to your customers so you don’t have to store large quantities of stock yourself. Process-wise, sending special drop-ship purchase orders and clear communication are all this option generally requires. Or, you can use drop-shipping as a primary business model. 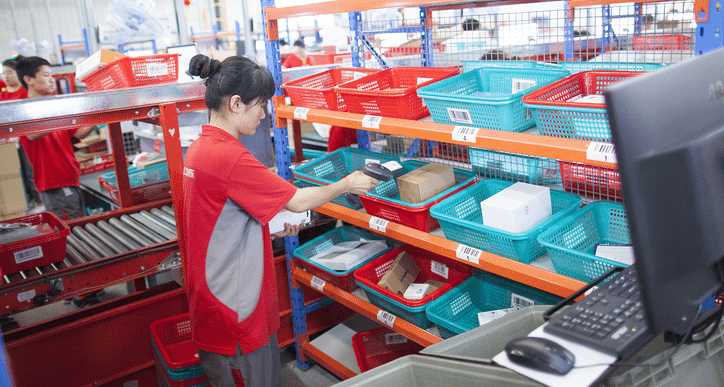 You can tap drop-ship vendors to handle your fulfillment logistics on an order-by-order basis. For this, you list items for sale, and when sold, the order is routed to your drop-ship vendor for fulfillment. In drop-shipping, you store no inventory and are only charged the cost of a good when an item sells. The primary tools used to manage this are drop ship vendor apps that seamlessly forward orders to their fulfillment system and make the process hands-off for you. Many small ecommerce companies successfully combine two or more of the above fulfillment logistics solutions to maximize sales A hybrid fulfillment solution can be the best of all worlds. For example, you can handle detailed or special-order fulfillment in-house, outsource fulfillment of standard goods, and use drop shipping to extend your line with no upfront investment. The logistics management solution that keeps a hybrid fulfillment solution humming along is good order management software that seamlessly connects all activities in one system. Sounds logistics management depends on tracking data and using it to make key business decisions. For example, tracking product sales data gives you an accurate demand picture and helps you forecast correct reorder quantities. Without data, your purchasing decisions are based on guesswork, which often leads to costly over-ordering or running out of stock and losing sales. Both are logistics management errors that data can help you solve. Product sales data combines with inventory level and open purchase order reports help you accurately forecast which and how much of each item you need to purchase. This is an excellent way to control costs by preventing over-ordering of slow-moving goods, plus it keeps top-selling items in stock. This data also helps you predict any increased stock needs for seasonal fluctuations, like holiday sales. Tracking what products sell best on which online sales channels helps you target areas for growth, both in your product line and the sales channels you use. Track your top sellers and slow movers by channel to pinpoint which channels you most profitable sales come from, and what those items are. With this information, you can explore opportunities for expansion of your line on your top channels. This data also shows you what doesn’t sell well on certain channels so you can rethink those efforts. Tracking every sales-related cost possible, including per-sale cost of goods, packaging, and shipping help you determine the profitability of every item you sell, and every sale you make. This data is key in pinpointing areas for savings that lead to increased profits. And, regularly reviewing your fulfillment and delivery rates tells you how fast you get your products into customers hands. If you outsource your order fulfillment, this data helps you keep an eye on your fulfillment partner’s performance and cost controls. Or, if you handle fulfillment internally, this data can help you determine your fulfillment efficiency. If you find it’s lagging in this area, you can use this data to see if an outsourced solution like ShipBob might be a more efficient and cost-effective solution. Sound logistics management is based on the concept that every supply chain and fulfillment logistics element is interdependent. Your primary goal is ensuring all tasks under each element happen as expected, and any fluctuations are quickly addressed. To make it all work, you must constantly monitor every cog in your logistics wheel. That means understanding how these elements connect, like how delayed stock affects order fulfillment; identifying the weak spots, like unreliable vendors or weather delays; and enabling fast communications when things go wrong, as they invariably will. When looking at ways to put a logistics management plan in place, be sure to keep both your budget and the value of your time in mind. At first, managing every aspect in-house might seem less costly than outsourcing. But you must factor in the time you or your staff spend accomplishing key tasks. Ask yourself where that time is better spent: On repetitive functions like order fulfillment? Or on growth-driving activities like product sourcing? Once you do that, you might find that outsourcing one or more of the following functions, like order fulfillment to a partner like ShipBob, is the best solution. How do you approach your logistics management puzzle? 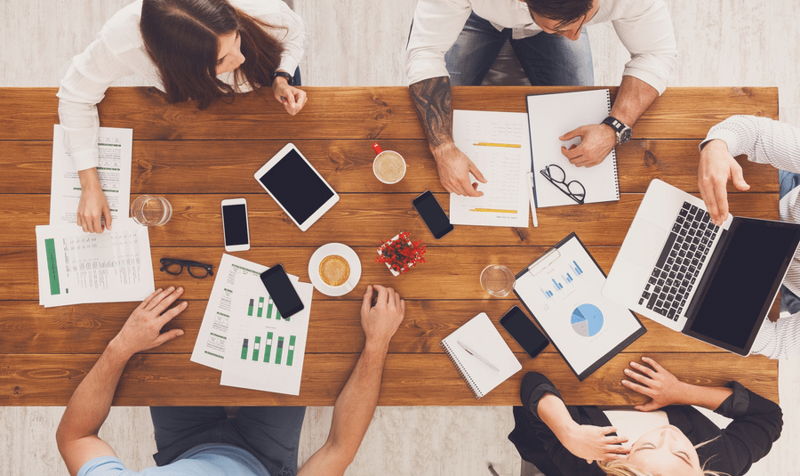 Do run an in-house end-to-end solution or outsource some tasks? We’d love to hear how you make it all work for your business in the comments below.